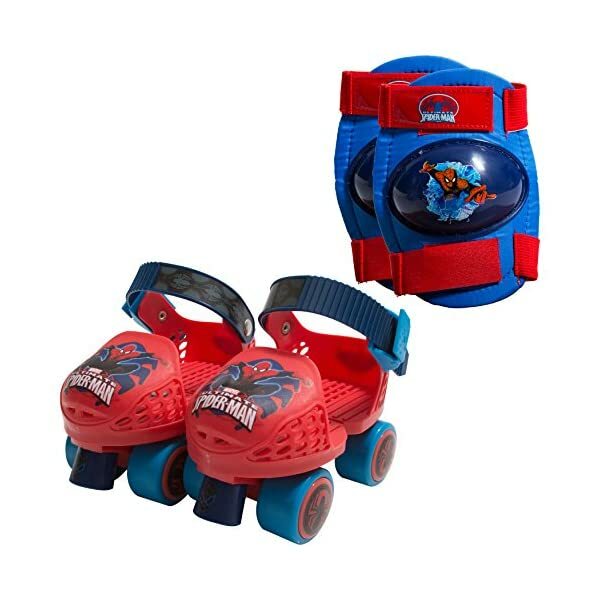 This roller skate and knee pad set has just what an aspiring superhero needs to get rolling! 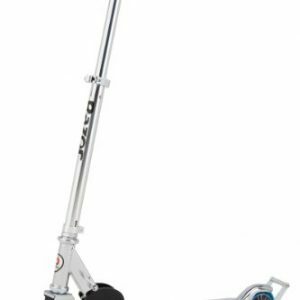 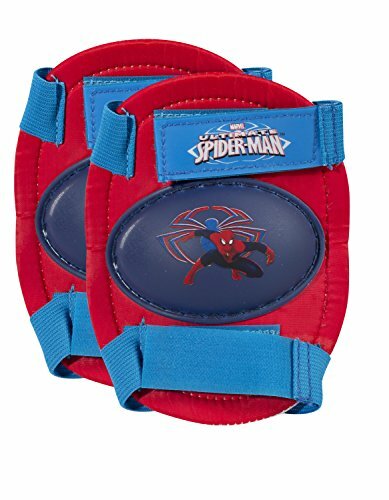 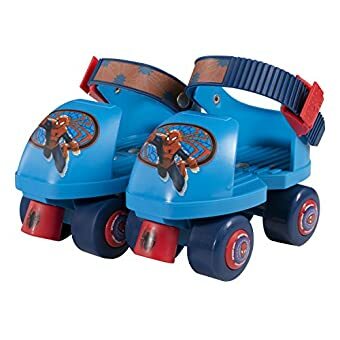 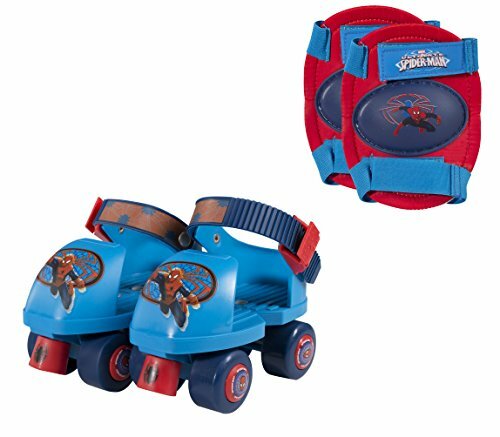 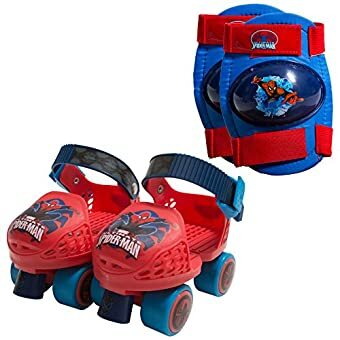 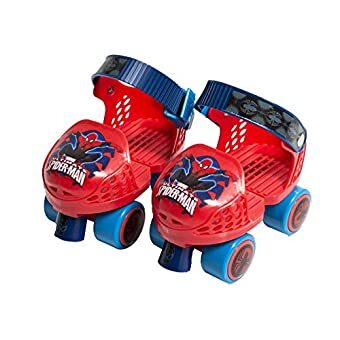 The PlayWheels Ultimate Spider-Man Kids Roller Skates with Knee Pads are perfect for kids learning how to skate. 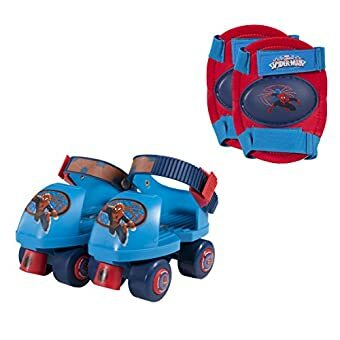 This combination set comes with adjustable skates and durable, protective kneepads for superior safety. 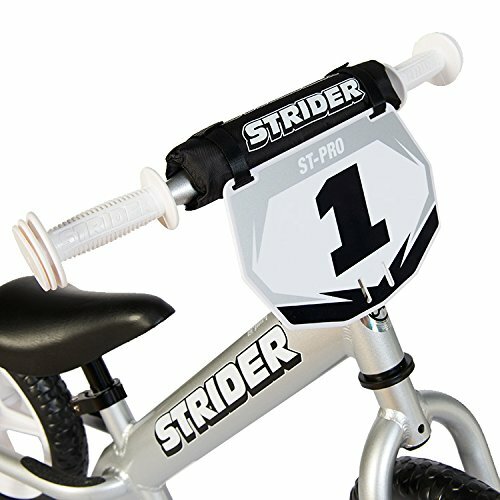 Fit and adjust for a variety of junior foot sizes with the convenient thumb screw – no tools required! 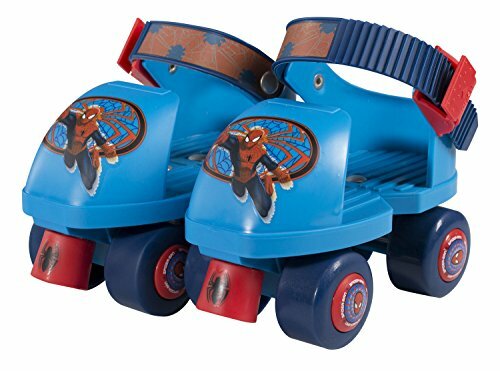 These solid beginner skates also feature simple-to-use toe brakes for easy slowing and stopping. 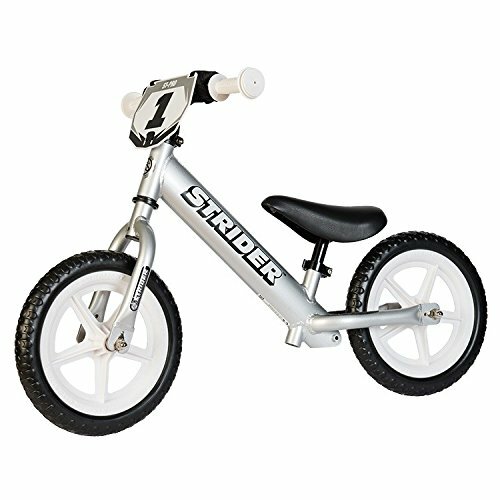 The sturdy plastic frame and strap buckles stand up to heavy use for long-lasting outdoor fun and action. 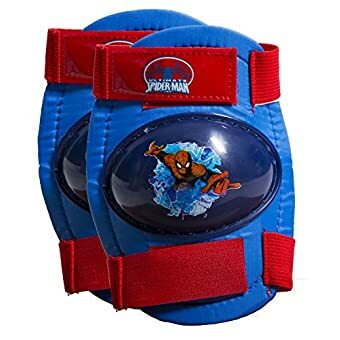 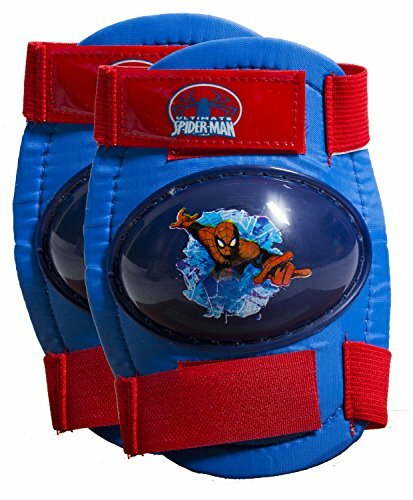 The included knee pads use simple, straightforward hook and loop fasteners to adjust and secure for a perfect fit. 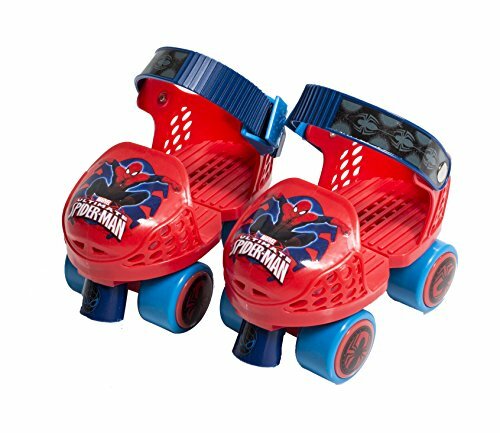 With the stylish Ultimate Spider-Man theme, this is one set of skates that kids will be proud to wear and show off to their friends! 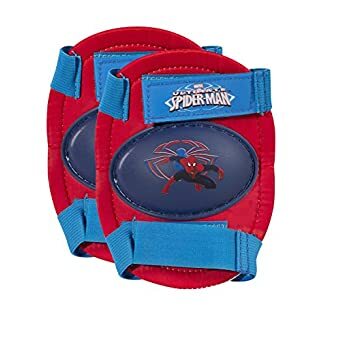 For ages 3-6 and supports up to 45 pounds. 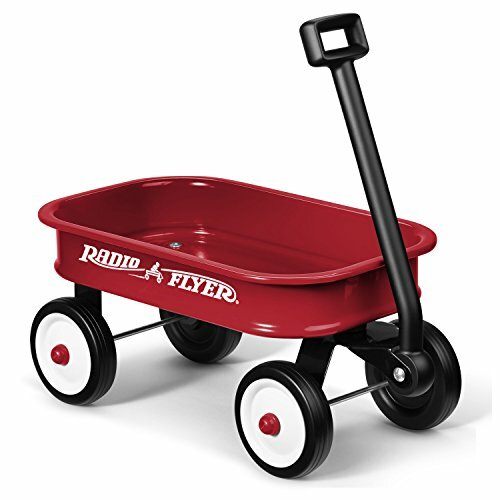 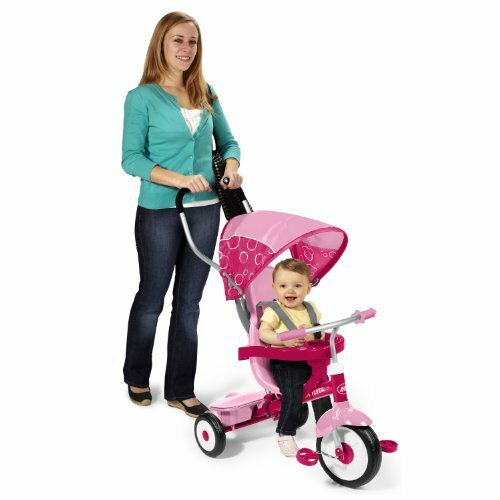 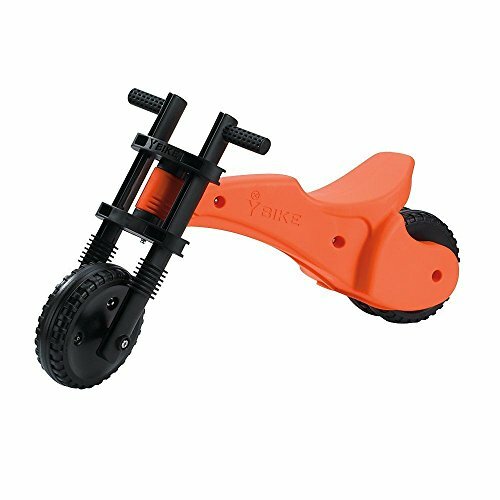 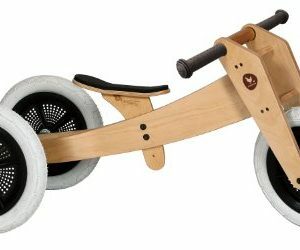 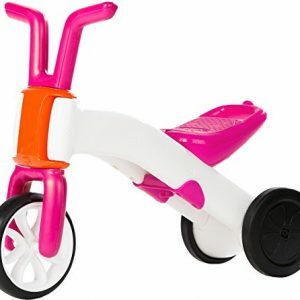 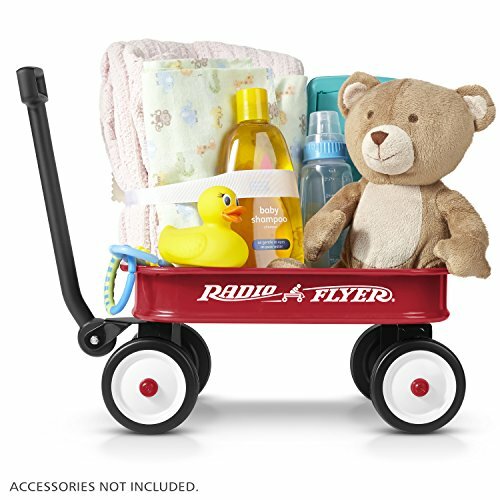 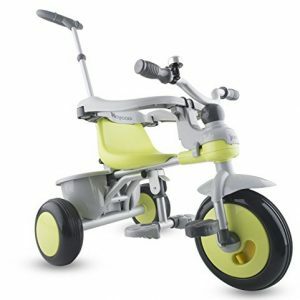 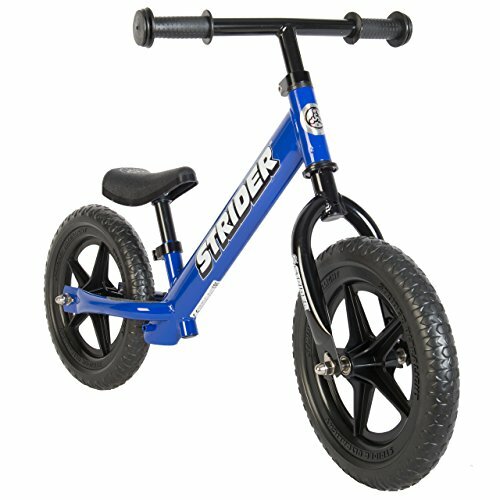 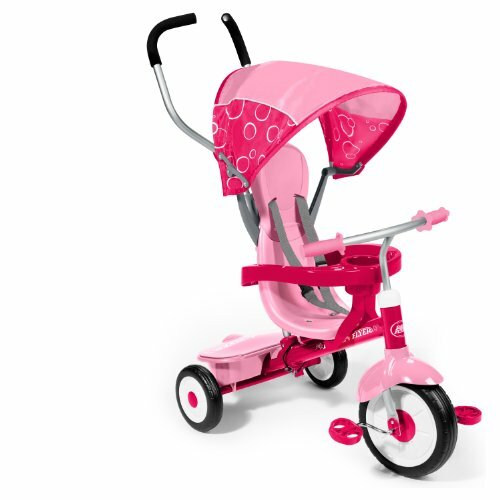 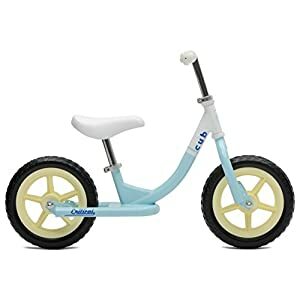 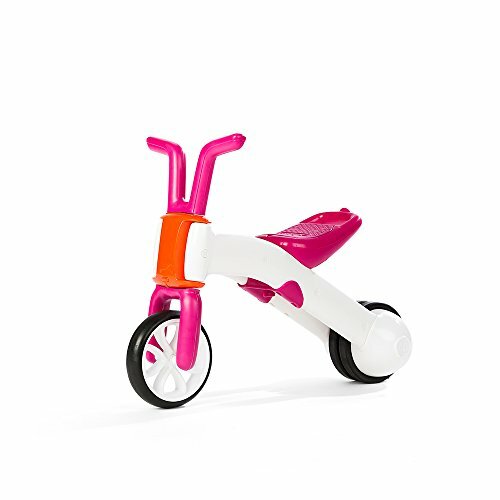 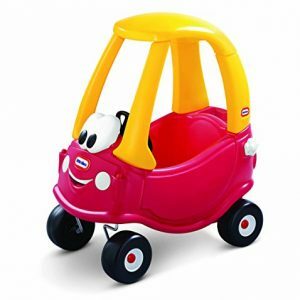 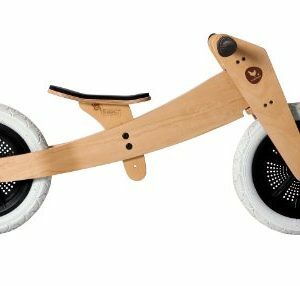 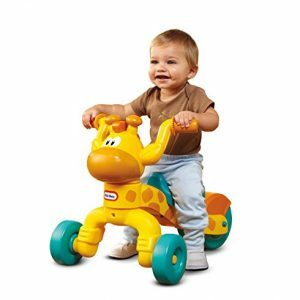 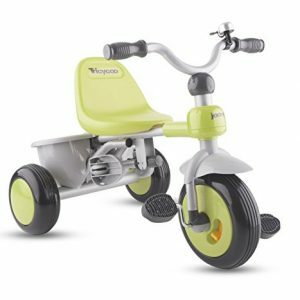 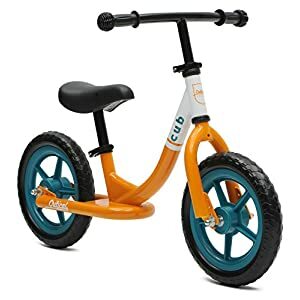 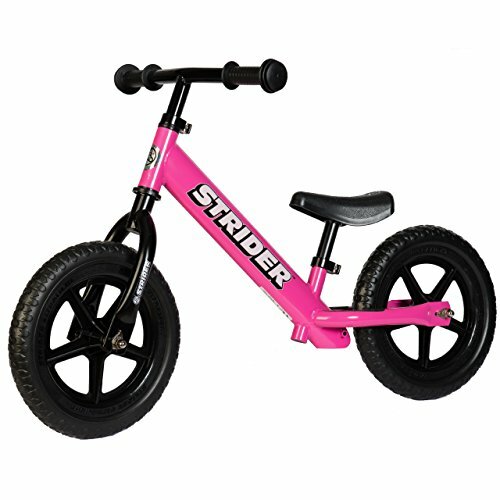 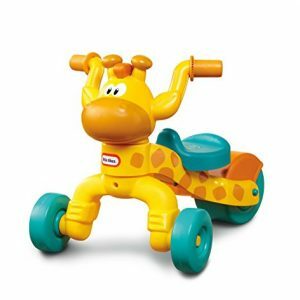 Recommended for ages 3 through 6 years; weight capacity of 45 lbs.